The bathroom is one area where you spend most of your time from your intimate moments to getting ready for the day ahead of you. When it comes to the decor in your bathroom, you want the space to be functional while looking luxurious at the same time. But, it isn’t always that easy. In fact, if you do not know what mistakes to avoid, you may end up with a bathroom that is crowded and less functional than you want it to be. One of the biggest mistakes you want to avoid when it comes to your bathroom is not thinking about the flow of the bathroom. When it comes to the flow, think about how you enter the bathroom, what fixtures you use the most, and where your decor is located. If you place too many items in your way, you will find that it is more of a hassle to navigate the bathroom and thus become frustrated. In addition, you do not want to treat the bathroom as a separate entity of your home. You should continue the flow of the home into the bathroom as well. Lighting is often something that slips the mind when it comes to design and decoration. You need to remember that your bathroom needs to be bright and lit up, especially if you plan to use the space to shave, do your makeup, or get ready in the mornings. Overhead lights and natural lighting are always a good choice. If you think you need more lighting, consider adding some mirror lights too. Another common mistake made by homeowners is that they are not realistic when it comes to their bathroom decor. In fact, many homeowners will design a bathroom that is too big for the space they have. This then leads to trouble when you try to fit all of the items within the space. You want to make sure that you map out the size of your bathroom FIRST and understand it. Then, you can naturally choose fixtures and plan for space. Your bathroom is an important part of your home and you need to make sure that you decorate it properly. The above bathroom decor mistakes are ones that you want to avoid. If you need help choosing the right decor for your bathroom, the team at J. 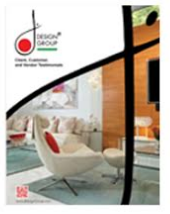 Design Group can help.